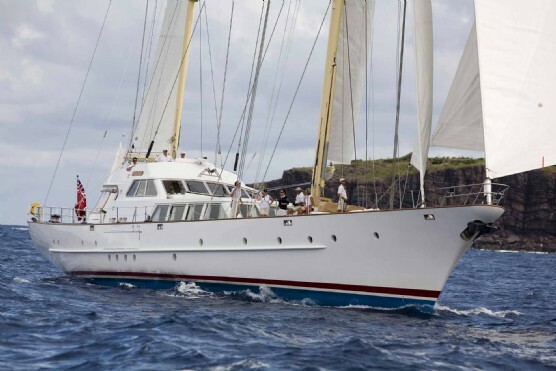 126' (38m) Sailing Yacht "PARLAY"
Designed by John G. Alden, and built in aluminum by Ortona Navi, PARLAY enjoys an impeccable pedigree. 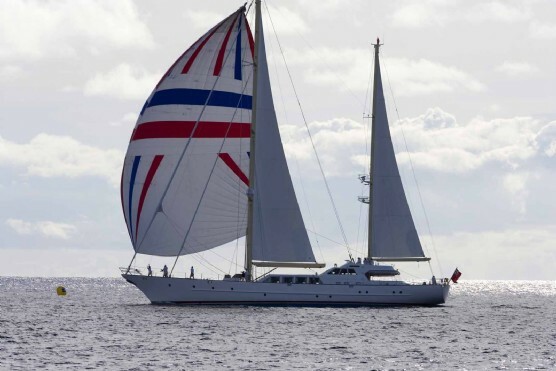 She is offered for sale for the first time since her launch in 1991. PARLAY is a motorsailer with a ketch rig with four working sails, all on power furlers, and power captive reel sheeting systems. 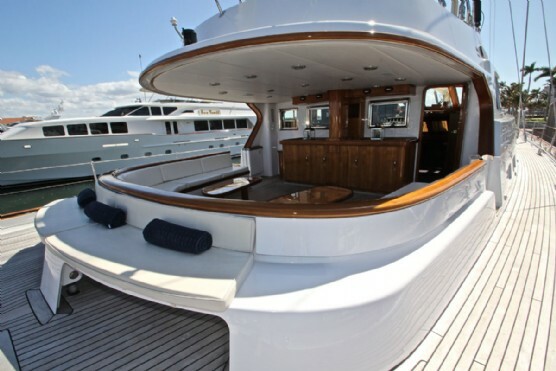 Sailing PARLAY is handled by individual joystick controls from the pilothouse or from the flybridge. 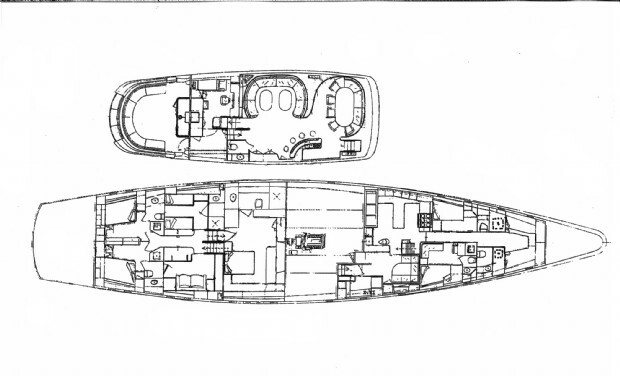 She has a hydraulically operated centerboard with a board up draft of 8�6�, allowing access to many harbors usually off limited to a yacht of this size. 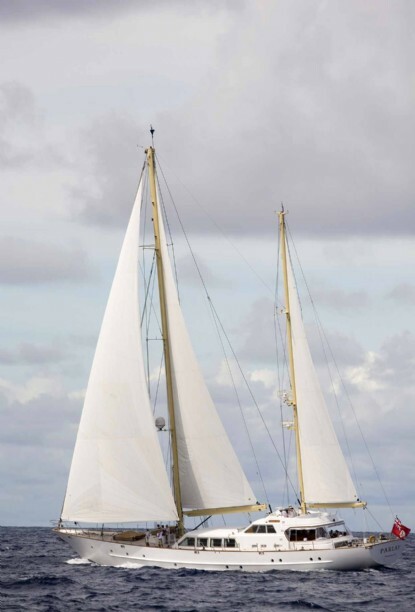 She is built in aluminum with teak decks and aluminum masts and booms. Her interior furnishings and joinerwork are rendered in the highest quality teak, Birdseye maple, walnut burl and flawless finishes. 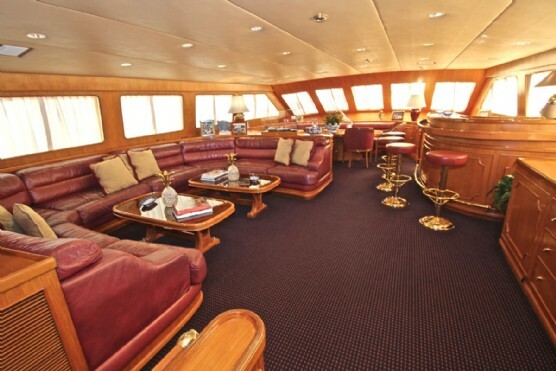 All cabin soles throughout the saloon and guest accommodations are teak and holly beneath the fitted carpets. 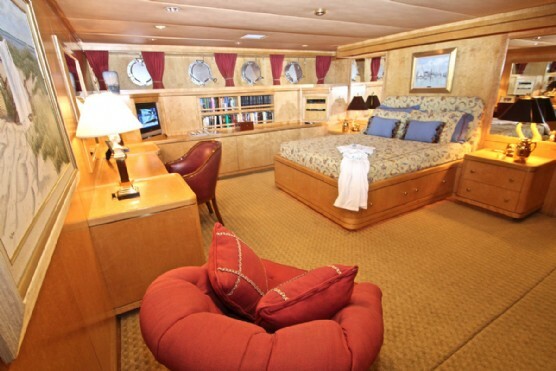 PARLAY has luxurious accommodations for ten or more guests in five staterooms, and up to six crew in three cabins.